This 5 oz. 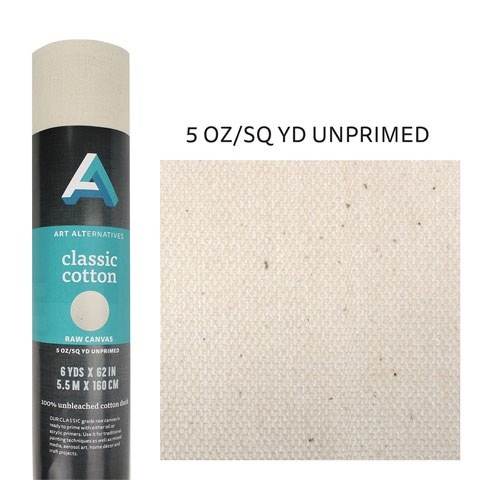 natural, unbleached cotton canvas is ready for priming with either oil or acrylic primers. It is great for use with oils, acrylics, alkyds, spray paint or other painting mediums.